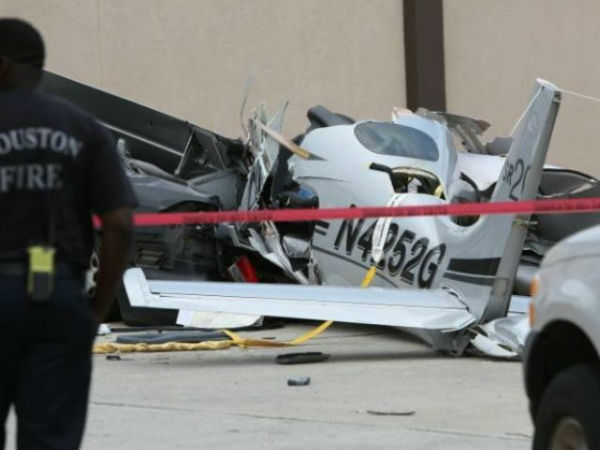 A Bizzare accident has taken place in California as a plane landed in the Parking space of a Shopping mall resulting in a huge crash. 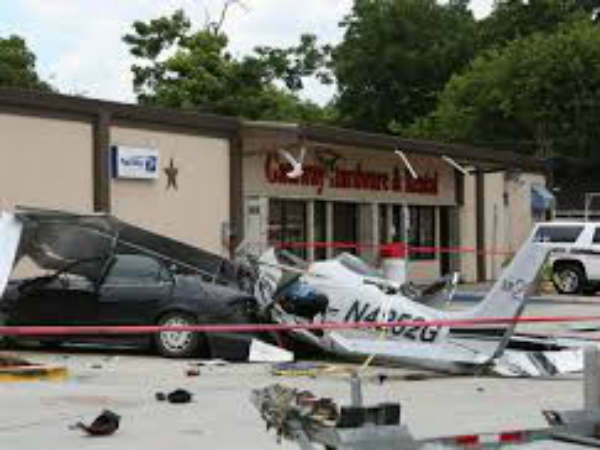 This year can be considered as a year of flight accidents as every day we read about bizarre accidents. One such accident happened in California recently. Santa Ana, CA is a small town in California and the accident took place in South Coast Plaza mall. When people were shopping in the mall, a plane has landed in the parking lot and has crashed in the mall too. Few pillars in the mall have been smashed in this landing. 5 People were Killed due to this bizarre accident. 3 Cars were totalled and one person is fighting against death in the hospital. Reports say that the plane had some engine problem and they approached a nearby runway. But due to lack of time, they have landed in the parking lot.